IS mutilate and kill mother for breastfeeding in public. An IS group has mutilated and then killed a mother who was breastfeeding her son under a tree. Women-only group, Al-Khansaa Brigade, carried out the the punishment in Raqqa, Syria. The young mother had her son tucked under her burqa to shield him from public view, but was spotted by members of the group. 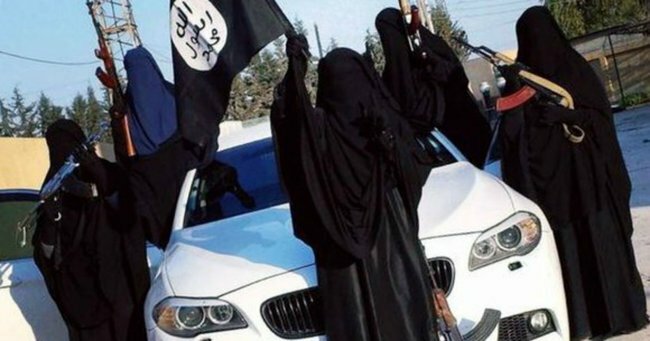 Pro-IS social media sites have proclaimed that the mother had violated public decency, further revealing that she had been mutilated first, and then killed. The Al-Khansaa brigade was formed 18 months ago soon after IS took hold of Raqqa. The group’s members come from North Africa, Gulf Arabs, Iraqis, Chechens and western Europeans. In fact, it is believed that there are around 60 British women who have joined the group so far. It appears that the group, who proclaim themselves to be ‘guardians of public decency’ are particularly ruthless towards mothers. A 50 year old mother says she was told to give her youngest daughters in marriage in exchange for food rations.